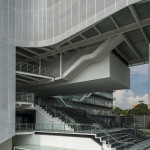 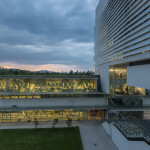 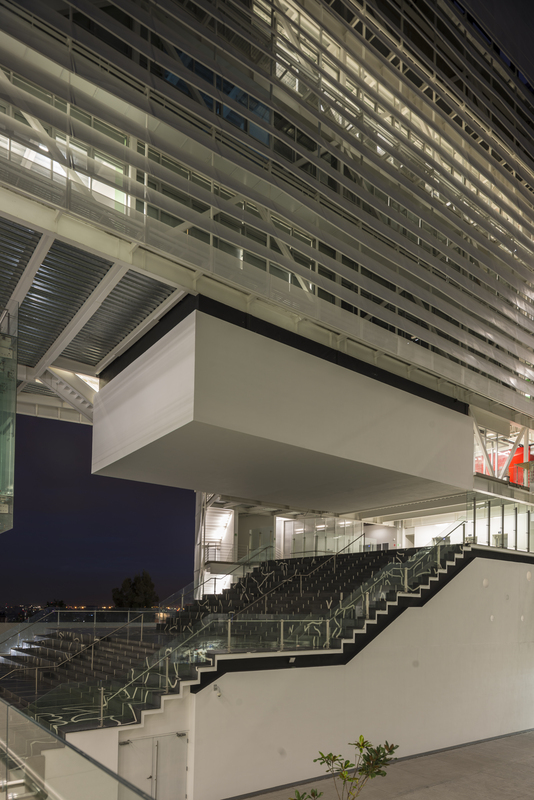 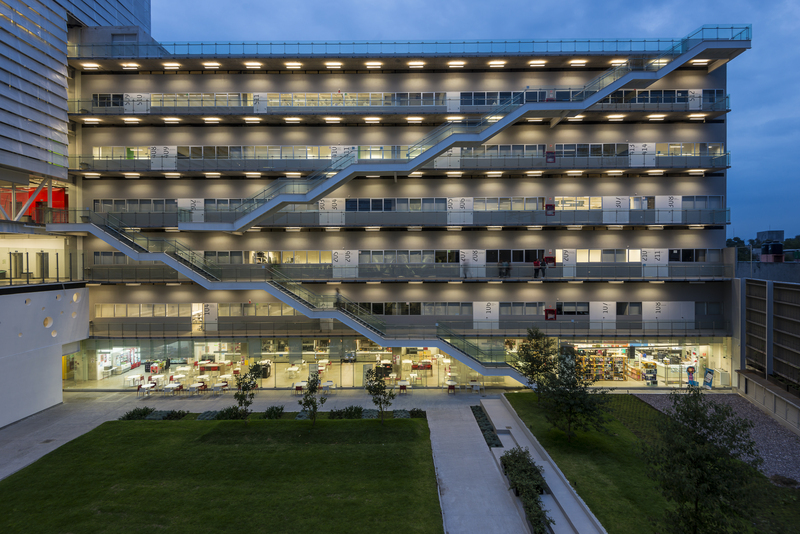 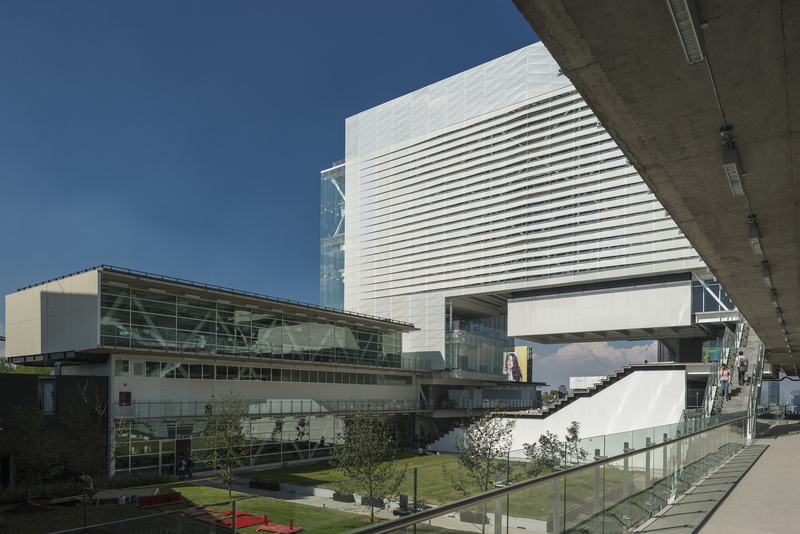 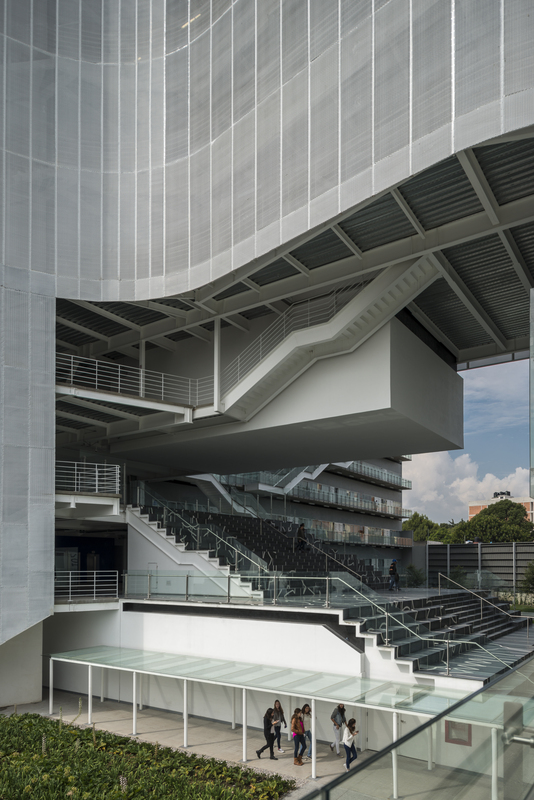 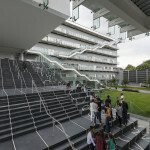 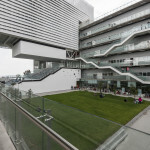 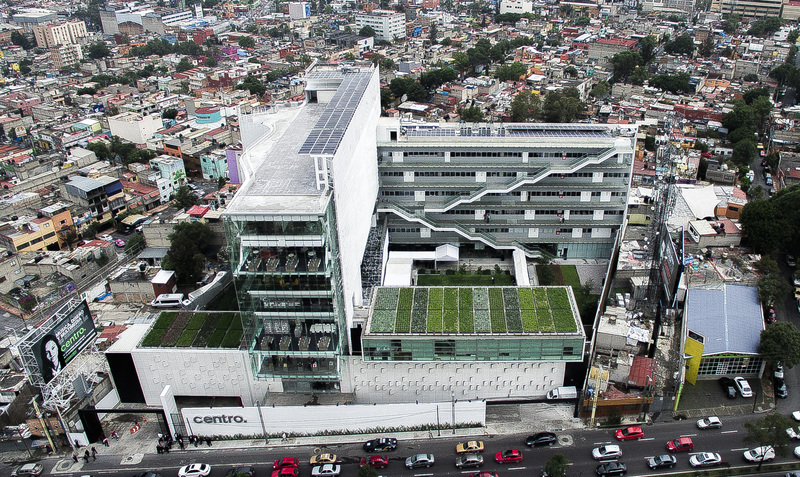 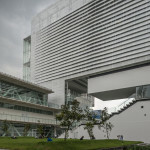 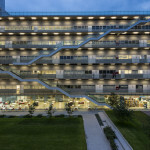 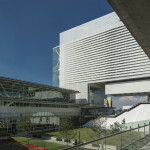 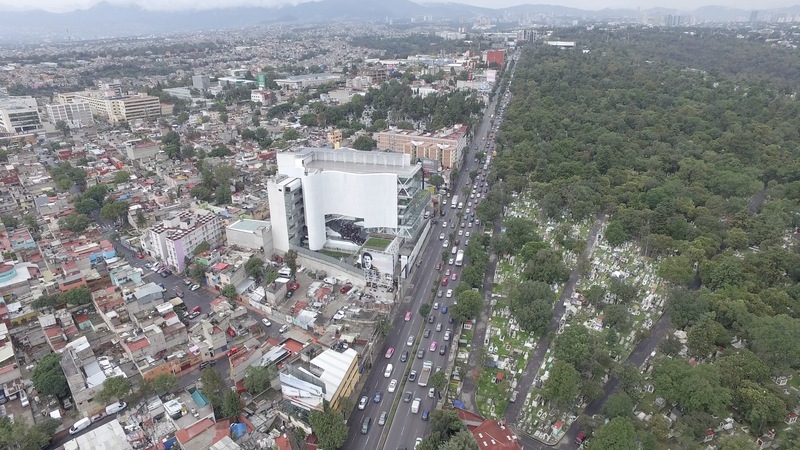 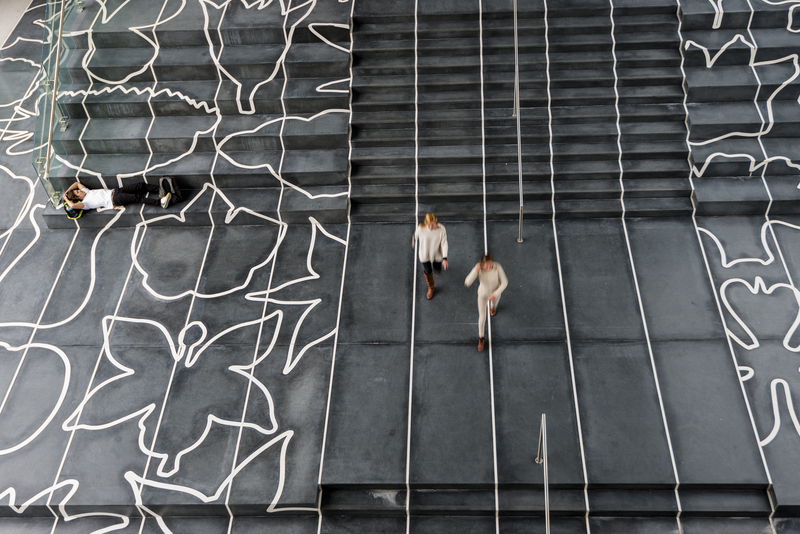 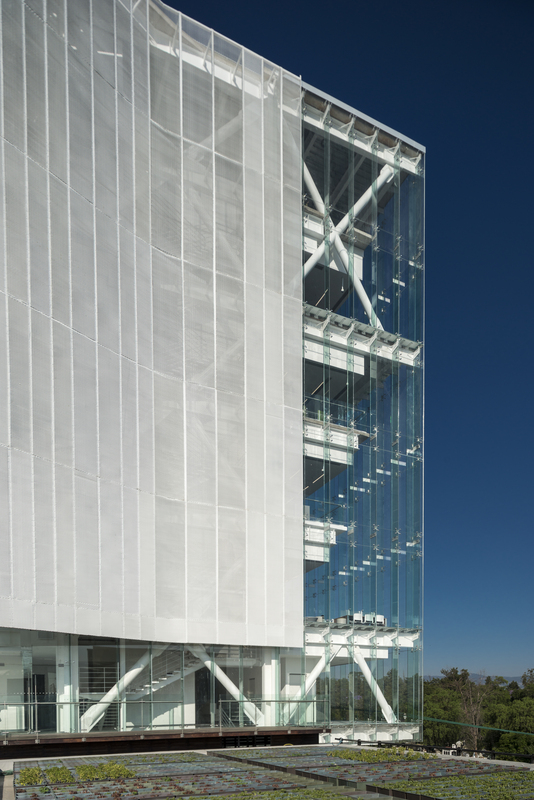 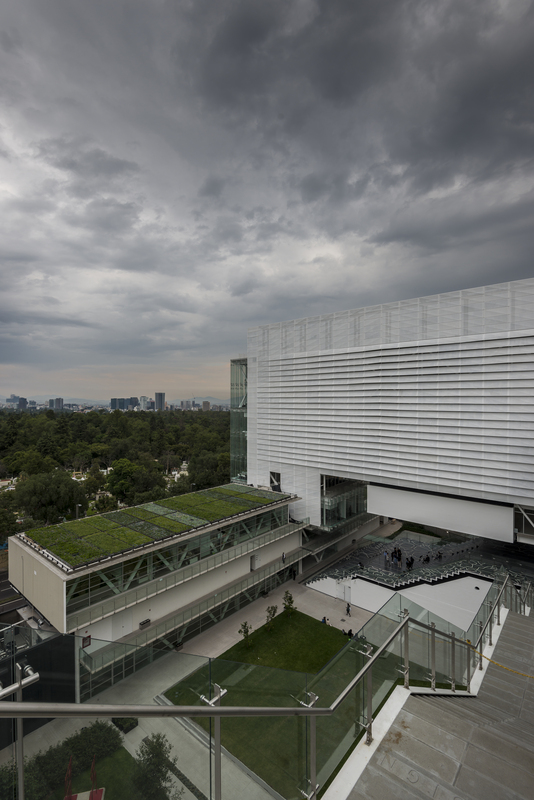 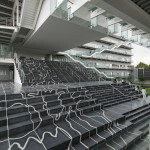 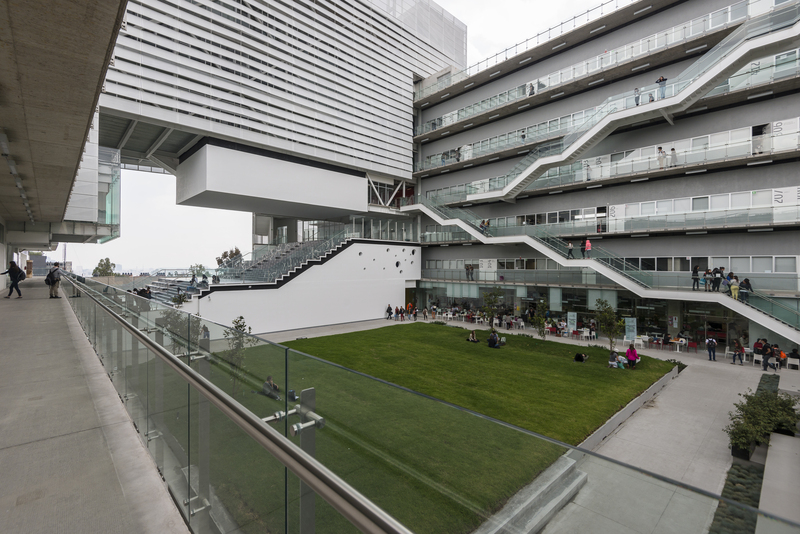 On September 29, CENTRO, a Mexico City university that specializes in creative studies, inaugurated a new campus designed by Enrique Norten of TEN Arquitectos. 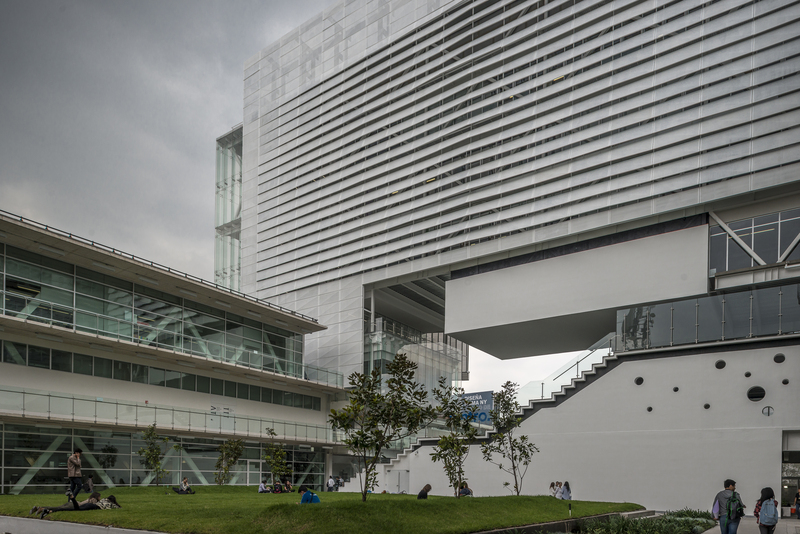 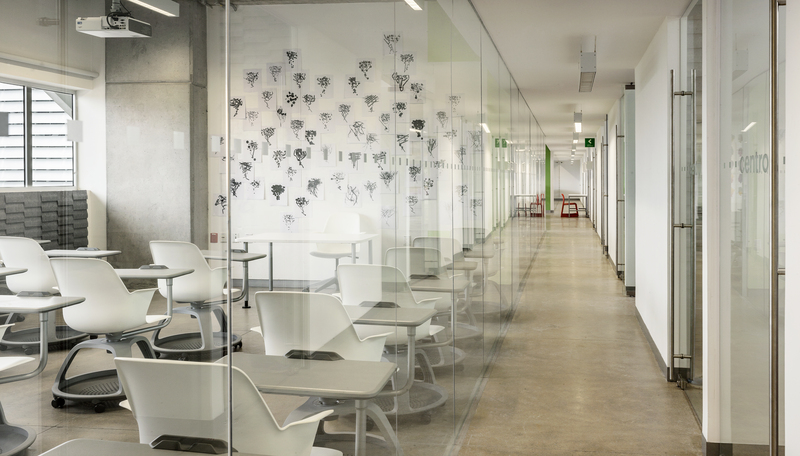 Located on Avenida Constituyentes, not far from Chapultepec Park, Norten’s new campus packs an interdisciplinary mix of interior architecture, film, industrial design, and digital media programs into 78,700 square feet. 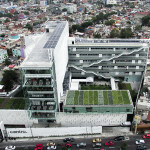 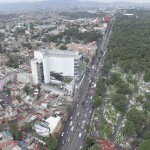 Landscape architecture firm A Pleno Sol worked with TEN Arquitectos to add some 27,000 square feet of landscape and planted roofs. 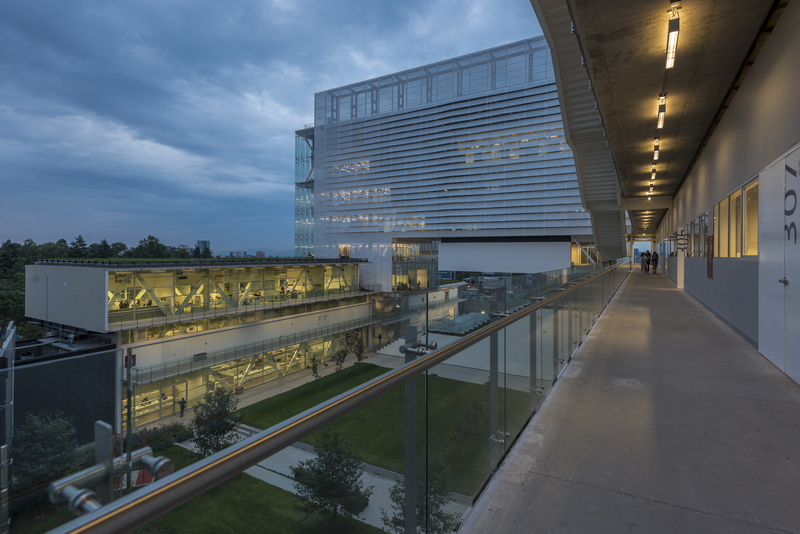 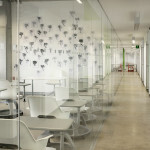 The 2,500-student CENTRO was founded in 2004 by Gina Diez Barroso and Abraham Franklin and focuses on the intersection of the creative, business, technology, and science fields. 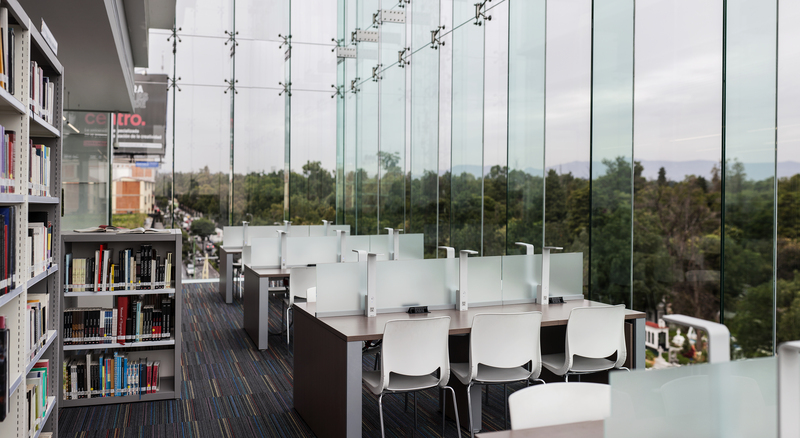 The opportunity to design a complete new campus is rare enough, and Norten, who has designed other university buildings for Rutgers University, the Universidad Panamerica, and CIEAX, was honored to receive the Centro commission. 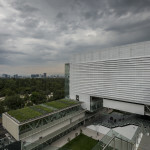 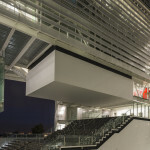 “It is an amazing location, across from the park, right in the center of the city and our new big train station is coming in very close by, so it will be one of the best connected universities,” said Norten. 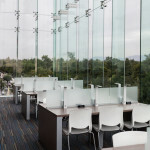 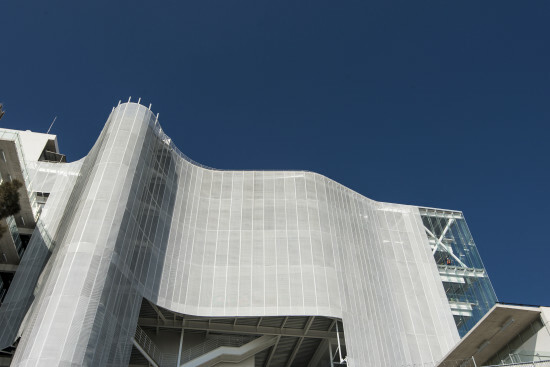 While the campus has expansion plans to accommodate up to 6,000 students, it is, according to the architects, also one of the first campuses built to LEED Platinum standards. 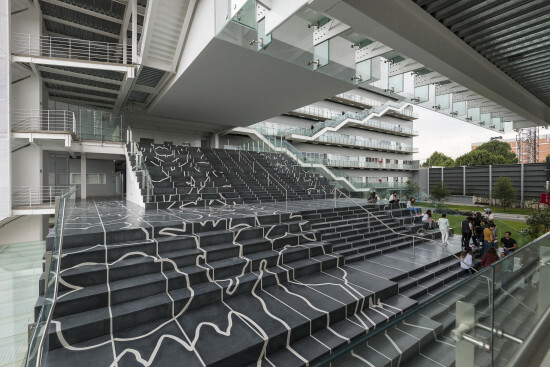 Other amenities include a 400-seat, state-of-the-art auditorium and a 7,000-square-foot interior courtyard that links classroom and office buildings. 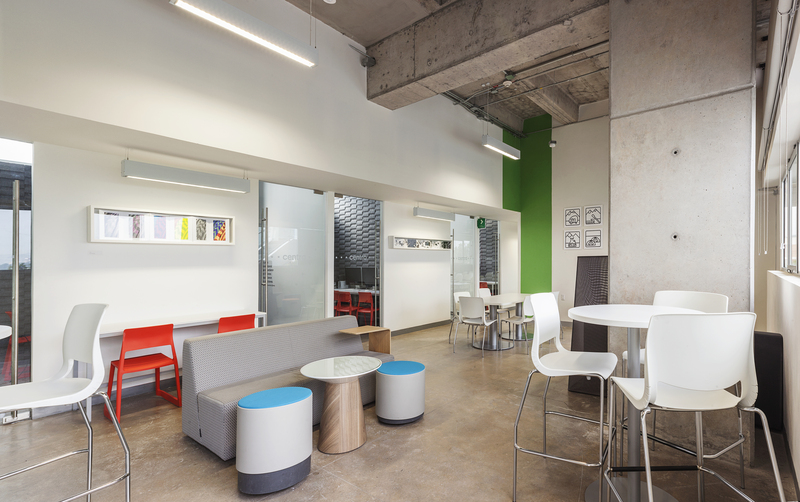 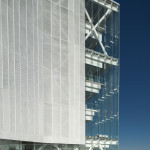 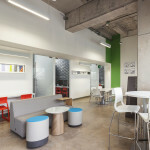 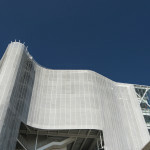 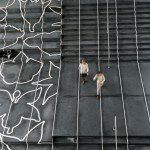 An intentionally minimal palette allows students to “make the building their own,” according to Scheuch. 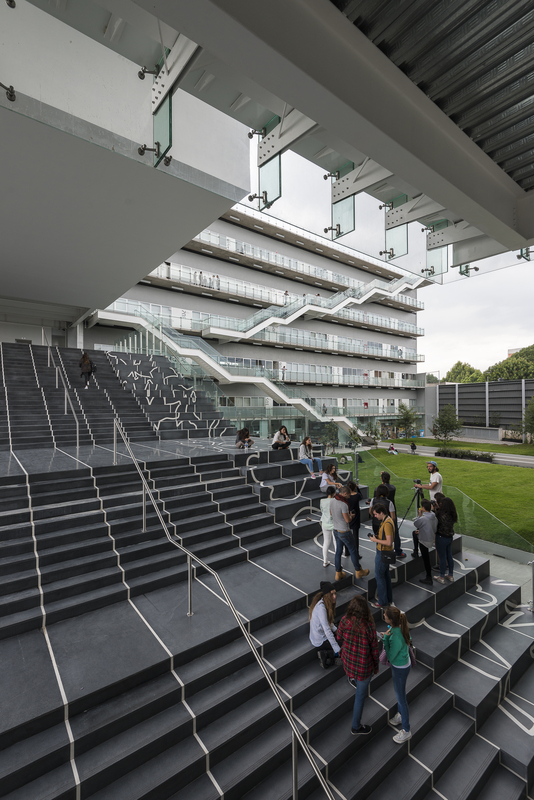 Students from all disciplines are invited to participate in the evolution of the campus. 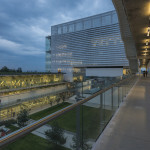 For now it is most evident in the signage and graphics on the building and benches that line the main courtyard. 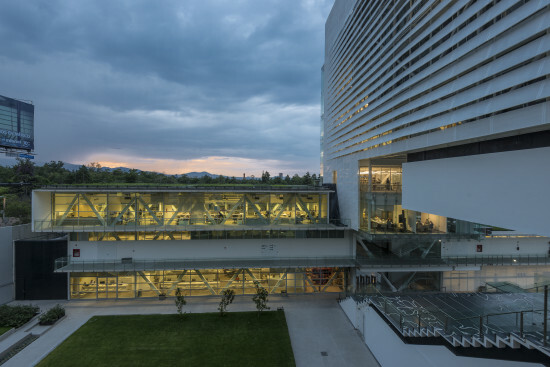 Norten is the also the recipient of the 2015 Neutra Award Medal, which will be presented by Cal Poly Pomona on October 26.